Cas-Ker's watch movements catalog features hundreds of watch movements to fit quartz and mechanical watches. Catalog #49 includes current pricing and availability as of December 2018. Get the latest catalog FREE! Just add this item to your shopping cart, and we'll send our two-color catalog with your order - OR click the link below to download a screen-optimized pdf version of the catalog. 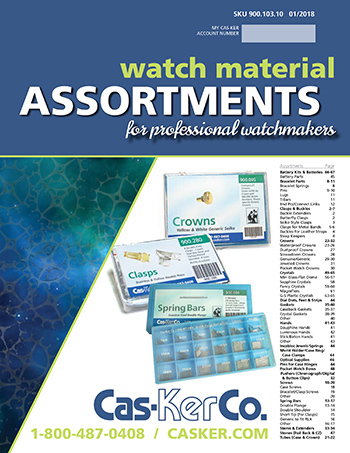 Our regular watch parts customers can expect to receive the latest watch movements catalogs in the mail as they are published. Call us at 1-800-487-0408 if you'd like to get on our mailing list. If you prefer, you can immediately download a digital pdf version of our catalog. Click here to download. 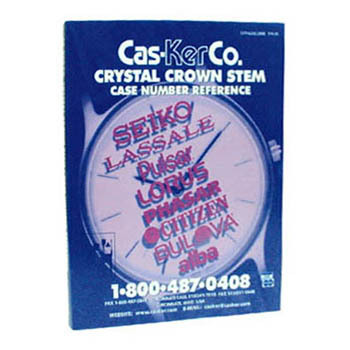 Cas-Ker's latest Watch Movements Catalog is available in print or as a digital download file. Add our Movements Catalog to your cart to receive a FREE print catalog with your order, or click the link above to download a digital version. 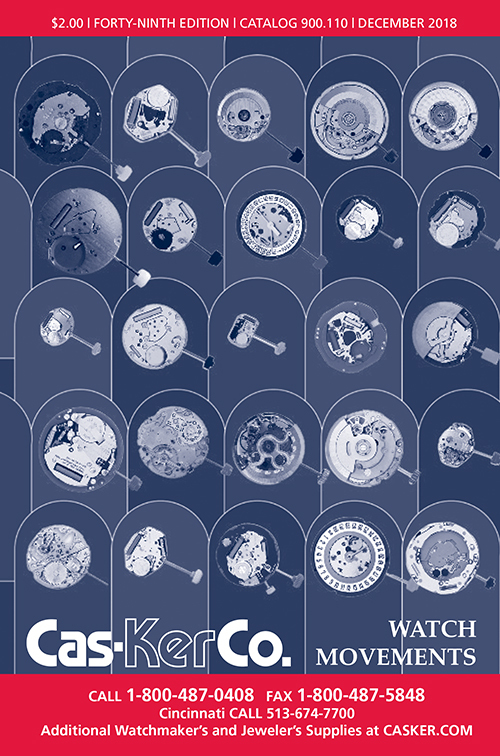 Cas-Ker's 80-page watch movements catalog is an invaluable resource featuring hundreds of watch movements, complete with all relevant specs. Cas-Ker's Watch Movement Catalog details caliber, ligne, diameter, thickness, dial feet, jewels, hands, cell, stem, tap, interchangeability, and more. 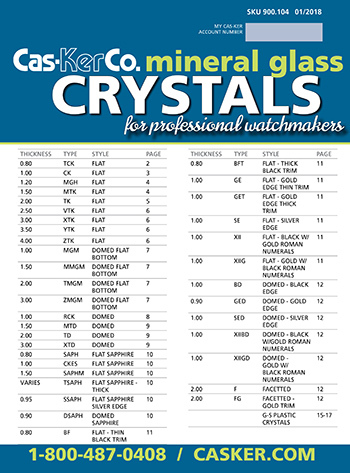 You'll find quality precision products for professional jewelers and watchmakers at Cas-Ker Co.